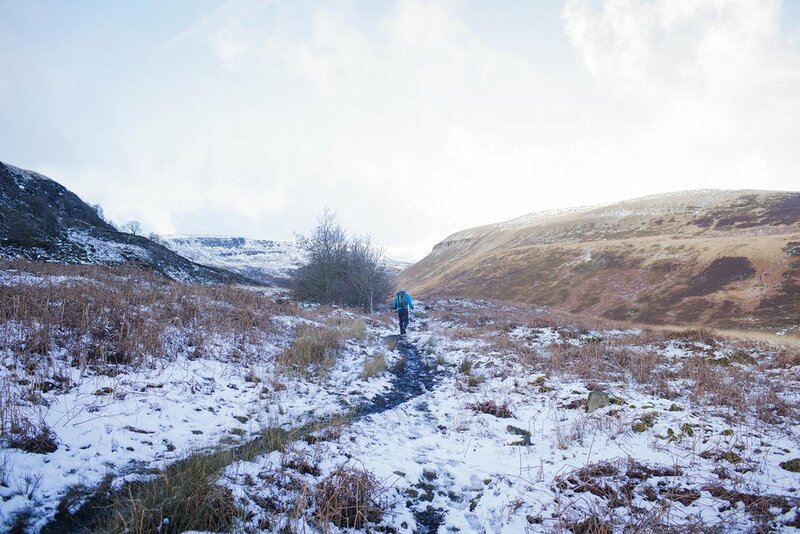 In all of the previous editions of the race competitors have faced at least one of (if not multiples of ) extreme weather, storm force winds, snow, extreme ice, bogs, fog, hail, mud and almost anything else you can think of! The Spine® Team will support your herculean efforts by being there when you really need us. We have an event safety team who will support you on the course, checkpoint teams who will provide you with some of the comforts of home when you need a rest, baggage transfers for your resupply and an excellent medical team provided by Exile Medics. If you’re ready to face Britain’s second most Brutal race, hit the apply button. Please see Application Guidance, Entry Criteria and Race Documentation for requirements and read thoroughly the Terms and Conditions of Entry (Race Documentation). *See Terms & Conditions for entry costs. Discounted price for entries prior to 1 September 2019. The event is tough. Very tough at times. Included as part of your entry you will receive accommodation, food at all checkpoints, baggage transfer (1x20kg drop bag to CP1 & FIN), GPS Tracking device, medical support, on-course support and when possible/ required course evacuation. There is 1 main checkpoint in the Challenger (CP1, Hebden Bridge) where hot food, drinks, snacks, medical attention and resupply is available. As you progress your resupply/ finish bag is taken ahead for you to CP2 Hardraw (FIN). There is food, showers & beds at the finish. In addition to these we also utilise a series of smaller stopping points available such as Malham Tarn and the Pen y Ghent Cafe in Horton in Ribblesdale. The event can be a lonely one if you wish or can be completed in the company of others. You may go for long periods without seeing anyone, due to the remote nature of the route or challenging weather. The race has been designed to have a more expedition approach, in that you carry what you need and you face what comes your way. This event runs 24/7 to provide maximum flexibility to those competing. Our online application form allows you to apply to compete in either the Spine® Race or Spine® Challenger. All applications are reviewed on a first come first served basis and you will be informed of your success via email if you are deemed suitable for a place on one of the race rosters. In some cases additional information may be requested by a member of the Spine® Team. Please note that should you have any concerns regarding your suitability, for example: race experience or medical history. You can email us at info@thespinerace.com in advance of your application. The first stage is to register your interest. Apply using the form, completing all of the required fields as best as you can. You will receive a username and password for our online entry system. You do not need to pay a registration fee at this stage. Please complete your application by submitting it to us. If you are selected for an event, or we require additional information we will contact you via email. We recommend that you purchase appropriate insurance to cover your participation in a Spine® event and the costs of your entry fee, should you not be able to participate. As part of your application for the Spine® Race or Spine® Challenger, you must provide us with information detailing your skills and experience. This helps us determine your suitability for the event. This experience can be drawn from various sources and is not just limited to competing in ultra or multi-day events. Have a look at some of the examples and see if you relate to any of these categories. The race draws on many skills and is advantageous to be skilled in a number of areas related to outdoor activity in fell/ mountainous terrain. Have you previously competed in the Spine® Race or Spine® Challenger? You know what to expect and are coming back for more! Please indicate this on your entry form.